We are very happy to offer a luxury private driver guide service to cruise liner passengers. Guests will be met off their ship and have the services of a private guide and enjoy spacious and comfortable transport. You will be able to visit the places you really want to see at your own pace. Lunches and refreshments are arranged to suit your preferences. There is a high demand for private tour guides so it is essential to book your guide as early as possible. We also offer a German speaking guide. 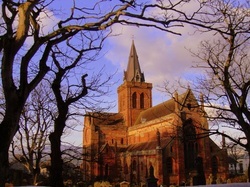 We have several itineraries for you to choose from which give you the opportunity to experience a variety of visitor attractions and locations making the very most of your time in Orkney. If you prefer we can help create a unique tour combining different elements from each tour. Each of these day tours includes time for lunch and refreshments. 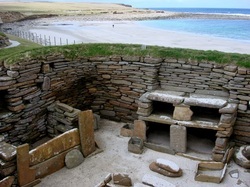 On this tour we visit sites marking pivotal moments in Orkney's history, including the Churchill Barriers and Italian Chapel dating from WWII, St Magnus Cathedral and Bishops Palace in Kirkwall and Neolithic gems at The Standing Stones of Stenness, The Ring of Brodgar and Skara Brae. 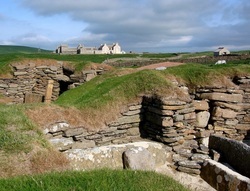 This tour offers an opportunity to see a variety of fascinating locations to give you a flavour of Orkney. Beginning with Kirbuster and Corrigal farm museums, Skara Brae and Skaill House, we will call into one of the craft workshops then round it all off with a visit to the Highland Park Distillery!